Marketing is an important piece of your business. What, you didn’t know you were in the marketing business? Well, consider all of the things that you have to market in order to keep your business going: Your Skills, Your Listings, Your Website, Your Company and of course You! One of the most important pieces of your business is LEAD GENERATION! Marketing is a part of your lead generation process, but NOT a total replacement. Ok, so let’s get to the customization of myMarketing! Let’s talk about the Campaigns because they are pre-built systems in place that do some of the marketing for you! 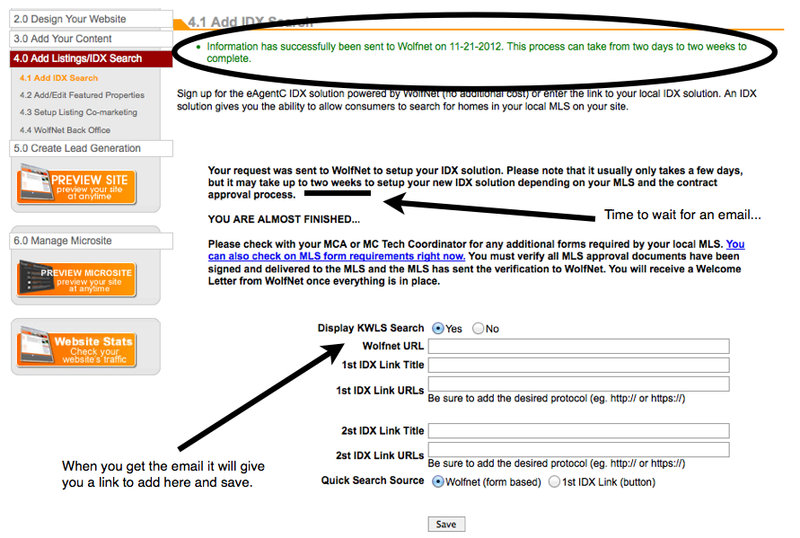 Sign into your myKW.KW.com and click on the + next to the myMarketing then click on the “Manage and Create Campaigns”. Then at the top left you will see an option for “Build a New Campaign” and click on it. You will see a list of types of campaigns. If you do not have “pro Market Leader” they will will have some titles with the word “pro” next to it. Today we are going to focus on strictly the eEdge basic side of myMarketing. The three main sections are Market my Business: Buyers, Sellers, and Sphere. The other option you will see when you click on each one of these is there are two of each campaign. One is for individual agents and the other with the same name says “team” next to it which means the wording is geared toward comments like “we” instead of “I” and “ours” instead of “my”. You get the idea. First we are going to talk about a 8×8 (either Buyer or Seller). In case you are wondering an 8×8 stands for making 8 touches in 8 weeks. For this example I’m clicking on “8×8 Seller: Here to Help You Sell”. Once you have selected the campaign you will see 3 boxes that say “Email”, “Multi-Chanel” and “Direct Mail”. Inside each box shows the pieces listed as emails, direct mail and activities. Next to the list of pieces is the “Cost $ per contact”. Email is free and direct mail costs money to print and postage to mail, so depending on your option will have a different expense. Before you click on one of them, you might want to preview the pieces, so click on “Campaign Elements” at the bottom of the box. Once you do, the words will turn red and display a snap shot of the pieces along with the title, scheduled date and delivery format. Click on one to display a sample of what it will look like larger with your marketing information on it. (Marketing information comes from your set-up section under myMarketing and Manage eEdge Website.) At the top click on the red “Next Step”. Now you have to select who you want to send it to. If you are going to completely customize it and not send it right away, you might want to just put yourself on it and then go back and add your contacts. Select the name(s) you want to add to this campaign and click on the “Add”. It will open a box that will tell you how many contacts you have selected and the cost both per contact and total cost. Click on the box that says “I have previewed all elements and approve them to be sent to selected contacts” and then click “+ Add Contacts to Campaign”. You will then see the contacts you selected on the right side and it will say “Active” next to their name. Now at the top click on “Save Campaign”. If you selected a campaign that costs money and you do not have billing set up, it will pop up a message and then ask you if you want to set it up now or cancel. It will not add your contacts and put your campaign in “Inactive, Add Contacts” status. Your campaign is now set up and ready to go. The next post will contain details of editing and enhancing your campaign, so check back. Are you Ready for the KW Mobile App? As I’m sure you have heard, Keller Williams is coming out with an App for every agent! Before the App is launched at the first of the year, there are some things you can do to be sure your app will work starting the day it is launched. Here is how you make sure you are set up. 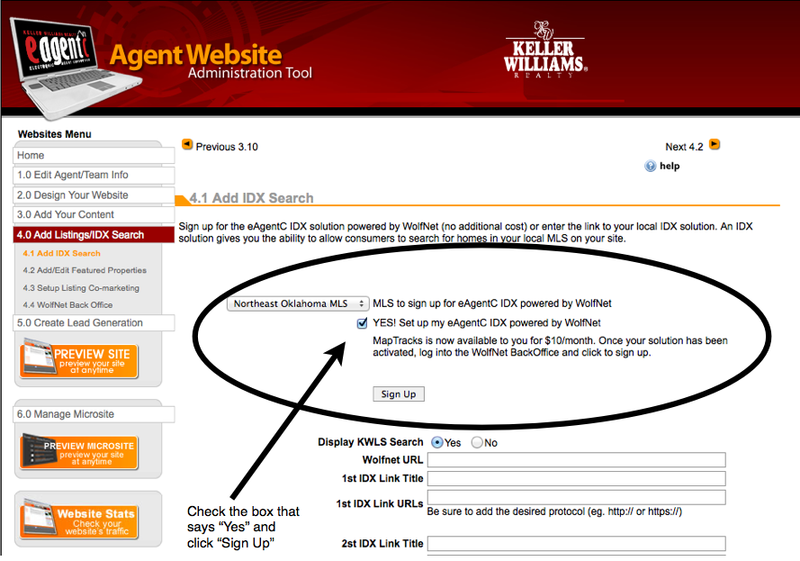 First log into your myKW.KW.com and then on the home tab click on “Agent Website Administration”. When the new window opens go into “4.0 Add Listing/IDX Search” and then “4.1 Add IDX Search”. In the middle of the screen you will see an option to check a box next to “YES! Set up my eAgentC IDX powered by WolfNet” and then “Sign Up”. It will then take you to the next screen that has additional directions. From here you just have to wait about 2 weeks for an email with a link to add to this same page. You may be wondering how this is connected to your myKW App, well this is where the IDX pulls the listings for your clients to search. Do you know what an IDX is? IDX stands for Internet Data eXchange and it allows your customers to have access to search the “public” part of MLS using your connection as a REALTOR to MLS. WolfNet is the vender partner that provides the data stream from your local MLS to Keller Williams systems. Once you get the email from WolfNet confirming your IDX is active, it will also include a link. That link will need to be added in the 4.1 section of the Agent Website Administration and saved. Now you are set for the IDX portion of the myKW App and your eAgentC website IDX. IDX is Added, but your not done yet! The other part of making sure you are myKW App ready is to get your profile percentage to 100%. From the home screen in your myKW.KW.com you will see a number below your name. Below your picture is a link that says “Profile” and once you have clicked on that it will take you to the screen that shows your sections of profile. In the 3rd column from the left under the word “My Referrals” click the “edit” link. The top section needs to have something in each field with the accept ion of the first and last ones (Team Name and Loss Midigation Resume). In the second section the only fields that are not required are the YouTube URL, Google+ and LinkedIn. All of the rest need to have at least something in them. If you do not have a Facebook or Blog, you can always put KWRI’s links in those fields. 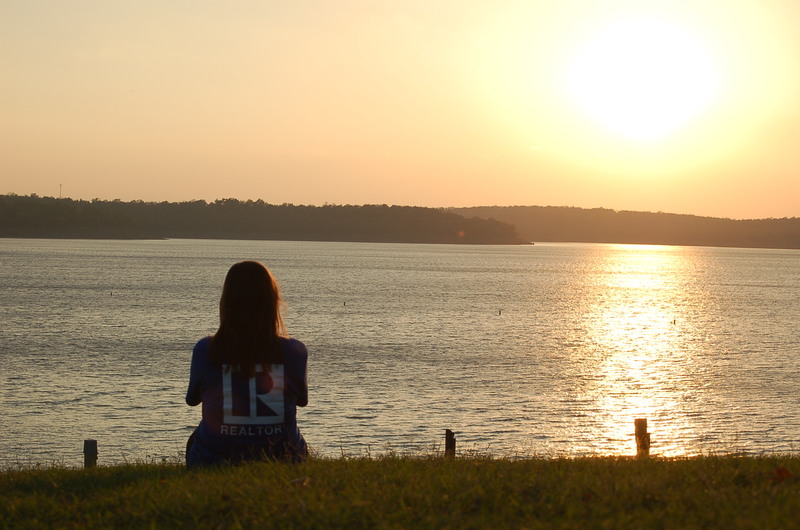 The links for those are: Facebook: KellerWilliamsRealty, Twitter: kwri, Blog: http://blog.kw.com. You can put any video on the YouTub link as long as you click the “share” button on the YouTube video to display on your profile. Don’t forget to “Save” at the bottom! That should do it, you are ready to go! Find me on the web at SearchTulsaHouses.com or email at Carolynt@kw.com or call/text at 918-951-9020.
myTransactions Includes an Upload Email! myTransactions is a fabulous and one of my favorite parts of eEdge. I would like to explain a little about myTransactions before telling you the new stuff. The basic principle behind myTransactions is a platform based on a virtual conference table to negotiate. I have been using this system for about a year and a half now and could not be happier. This allows an agent to write contracts, negotiate, send and store documents all in one convenient place! If you’re reading this and don’t have any idea what I’m talking about, the rest of this article may not make much since to you. For those of you experienced in myTransactions, let’s talk about one of the new features! So we have all had times where we were not at a scanner and needed to load documents into our loops. 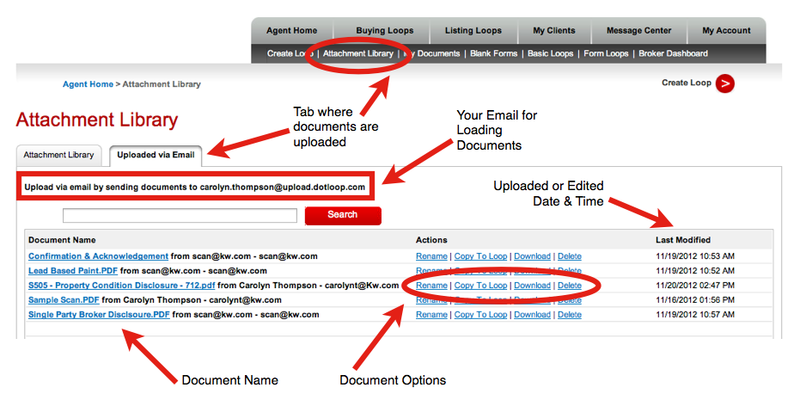 One of the new features just added to myTransactions and DotLoop is now you have your own email to send PDF’s. The email is typically composed like this: firstname.lastname@upload.dotloop.com. You can find your email by signing in and looking at the “Agent Home”, then “Attachment Library”, then the “Upload via Email” tab. At the top of that screen will be your DotLoop uploading email address. Once you have this email address, you can send documents to yourself or give the address to your clients to send them directly to your DotLoop account! Keep in mind that only PDF’s are uploaded, if a JPG or any other non-PDF document, the system will still send you an email with the other attachments, it just won’t upload it into your attachment library. You are probably wondering where you find these documents once they are uploaded. They come into your email address with a link that takes you directly into your account. If you are logged into your myTransactions, from your “Agent Home”, click on the “Attachment Library” and then the “Uploaded via Email” and all of your documents will be listed. Under the “Upload via Email” tab you have several options next to your documents. Your first option is “Rename” and when you click on it the name of the document is editable. You do not have to leave the “.pdf” extension at the end. Your next option is “Copy to Loop”. This one, when clicked on will bring up a window that asks what kind of loop and then check the box next to the loop to copy it into and click the “Copy” button. The third option is “Download” and this will download it onto your computer. Last but not least is the “Delete” button. Once deleted, it asks you to confirm and once you confirm it, you can NOT undo this. While you are out and a document comes into your email, remember you have this option. Also a great idea to save this email address in your contacts so you can not only forward it quickly from your own email but also share the contact information with your clients and other REALTORS to send you documents. As a Keller Williams broker and trainer I have found a need for some quick tips and tricks to help associates run their business more efficiently and smoother. I have been a Keller Williams agent since 1998 and a broker since 2004 and I believe this gives me a unique view of the real estate side of our tools. It’s not just about having the technology, you need to know how to use it! Agents let technology be a crutch sometimes and use it as an excuse to play victim and not do what they need to do to grow their real estate business. I’m not here to distract you, but to empower you with small tips and tricks that you can use on an daily basis to make more sales happen and get more listings! Let’s start with the absolute basics: Take baby steps. If you are not very experienced in technology, don’t try to become a “techy” over night! This is a marathon, not a sprint. Take for example, I have an agent that I have been coaching for almost a year. When he first came to me, he barely knew how to turn on his computer and certainly not have an iPad, iPhone or feel knowledgable in technology. By the way, this has nothing to do with age if you were thinking that. After small weekly sessions, he is now very technology confident and even helping others! Focus on learning 1 piece at a time. You don’t lose 50 pounds over night (without surgical help) and so don’t sit at a computer for 10 hours strait and expect to know it all. Because I’m a Keller Williams agent, this blog is going to be focused mostly toward Keller Williams tools. If you start reading and discover that you want more information about Keller Williams, I would be happy to share. You can also find me on the web at www.SearchTulsaHouses.com, carolynt@kw.com or by phone or text at 918-951-9020. If you have ideas or subjects that you would like me to write about, please let me know!